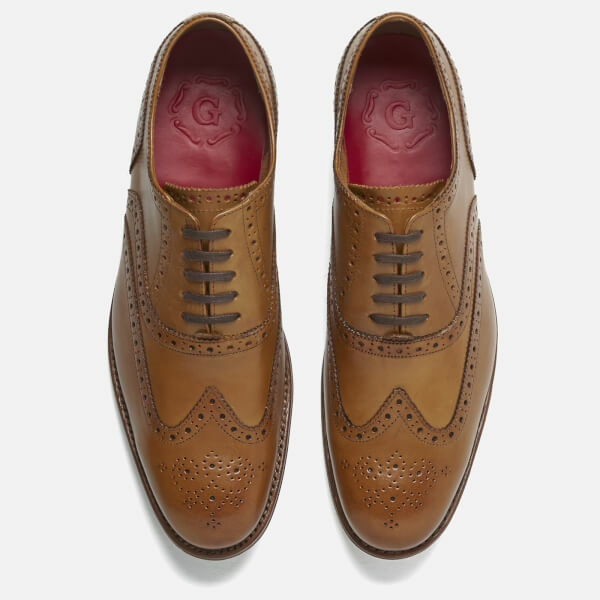 Grenson Dylan tan leather wingtip brogues with a classic Oxford brogue pattern. 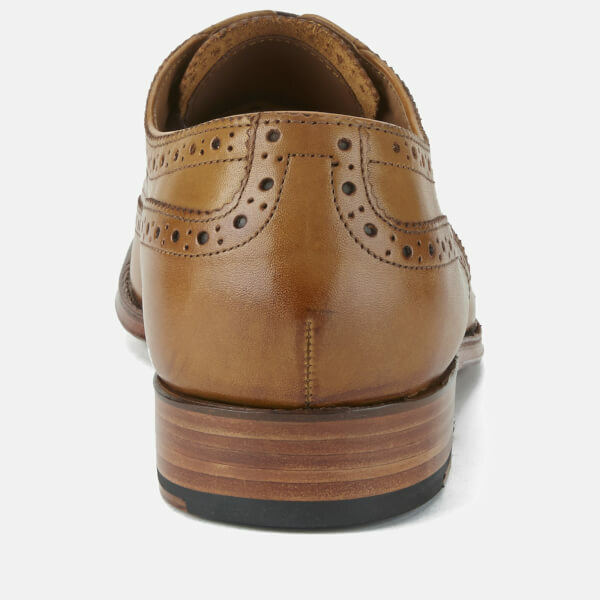 With a sleek and longer silhouette, the brogues are set on a Goodyear welt with a tonal leather sole and a stacked heel. 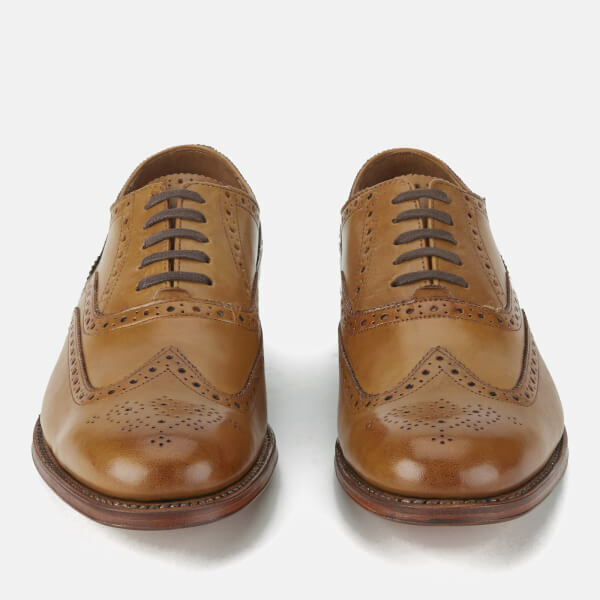 Fastened with a five-eyelet laced closure and brown waxed leather laces. 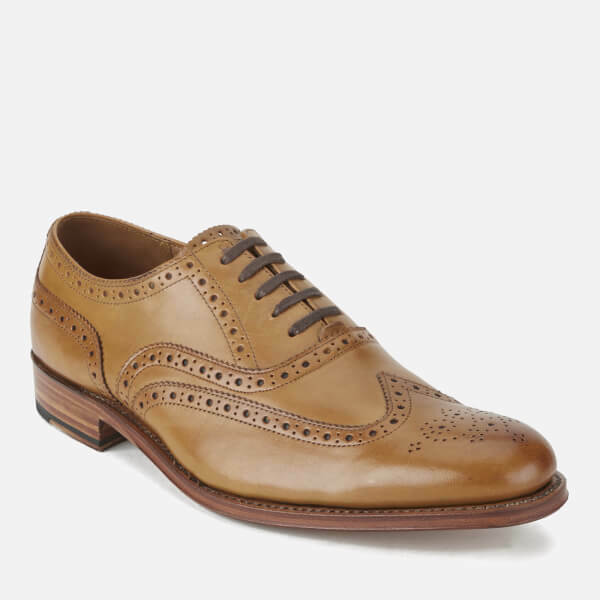 - A.D.
Quick delivery, well packaged, lovely deep red shoe box, shoes are perfect, they look immaculate. 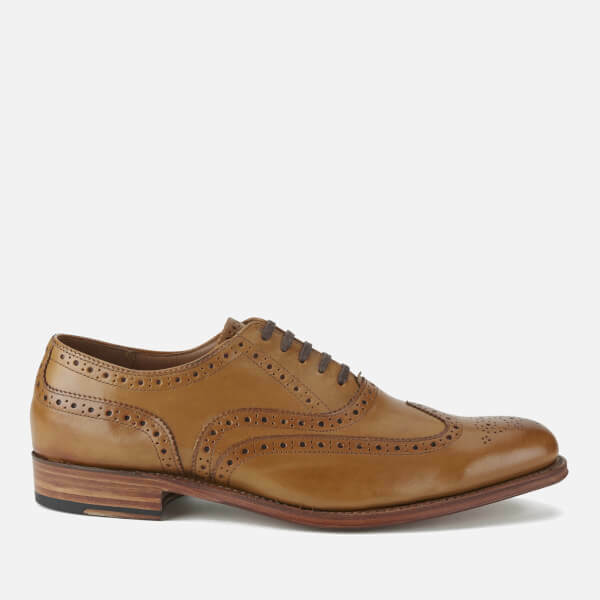 Christmas gift so can't advise on fit etc, but I'm definitely excited for intended person to receive them!